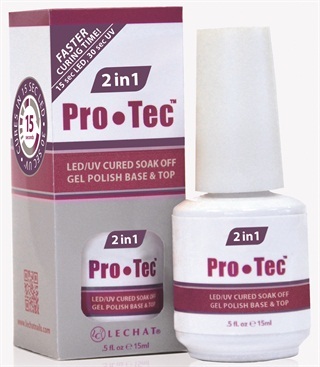 LeChat’s new Pro Tec 2in1 combines gel base and top coat together in one bottle, saving nail techs time and money. The high gloss formula is easy to soak off, durable for long-lasting wear, and can be used with any soak-off gel polish. Cure for just 15 seconds with an LED light and 30 seconds with UV. For more information, visit LeChat.